Sunday May 14 is Mother's Day - the day to show your mum or that special lady how much she means to you and that you appreciate everything she does for you. If you are looking for ideas to celebrate Mum's special day I have some food, flowers and fun suggestions to help you. The delights of afternoon tea have long been associated with Mother's Day and Brisbane boasts a wide selection of venues serving these traditional delights. Brisbane Marriott is serving Traditional Afternoon Tea ($49) and Champagne Afternoon Tea ($59) in two sittings from 12.00pm - 1.45pm and 2.00pm - 3.45pm. Book your table now. Bacchus Restaurant will delight Mum with their special Mother's Day High Tea served in the elegant restaurant surrounds where Moët Chandon champagne will be served on arrival while a 'live' jazz duo sets the tone. Mum will also be spoilt with a gift of Harney & Son’s tea to take home and enjoy. Eagle Street Pier is famous for food. Not only does this iconic riverside venue offer spectacular river views but also a selection of spectacular dining venues. A few special Mother's Day offers from Eagle Street Pier include Georges Paragon Seafood Restaurant - spoil Mum this Mother’s Day with a mouth-watering seafood celebration on the waterfront. Enjoy a three-course set menu for $75pp, $30 per child (12 and under). Pony Restaurant - show your Mum how special she is and treat her to a hearty lunch at Pony Dining. All Mums will receive a complimentary glass of sparkling wine on arrival. Aria Restaurant will indulge Mum this Mother’s Day with a beautiful lunch created by Chef Matt Moran and Head Chef Ben Russell, their delicious three-course menu with coffee and petits fours is priced at $105pp, $55 per child (under 12). Mother's Day is synonymous with flowers and in particular the Chrysanthemum and Northside Flower Markets located in Stafford is the largest full-service florist in Brisbane with a huge walk in flower market open to the public offering Chrysanthemums and many other beautiful flowers. They have a shop with floral designs ready-to-go or their talented florists can create a stunning gift from your choice of fresh flowers. Place your order today. Poco Posy believe you don’t need to spend a fortune on a large bouquet of flowers when a little posy of beautifully arranged, seasonal flowers will bring the same amount of joy this Mother's Day. 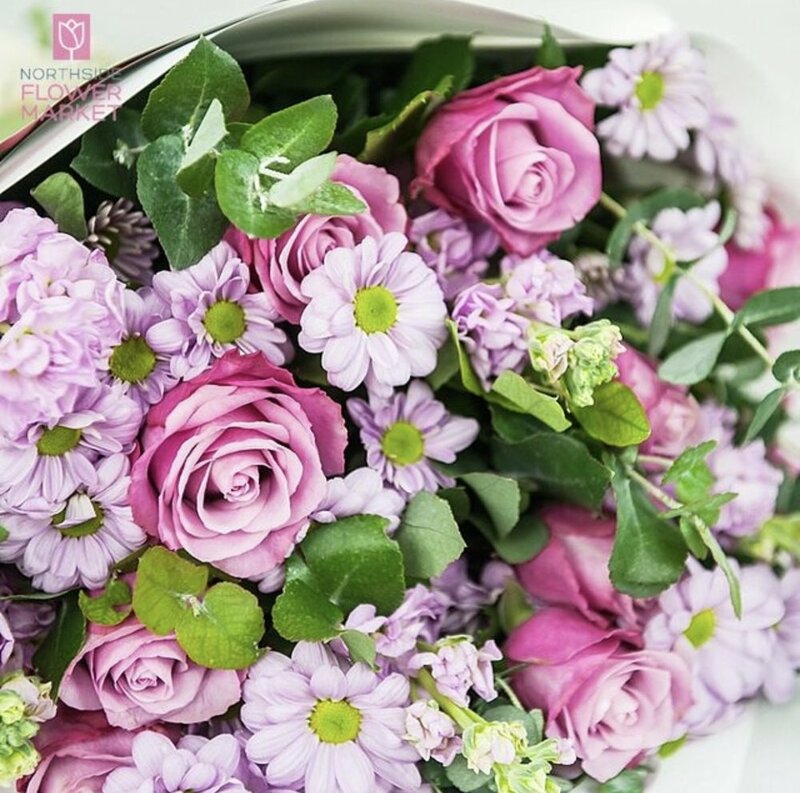 With a focus on creating stunningly unique floral arrangements, Poco Posy will bring happieness to Mothers across Brisbane, Moreton Bay, Logan, Redland, Caboolture and Ipswich this Mother's Day at a price that won’t break the budget. Celebrate this Mother's Day with morning tea and a vintage styling workshop at Museum of Brisbane. Treat Mum to champagne, petit fours and live music while learning the secrets of old-world style from host Chrissy from Lindy Charm School. Chrissy is also going to showcase vintage garments from her own,vintage collection. Stay-on to take part in a vintage styling workshop. Where you’ll master the graceful art of old-world glamour and get hands-on advice and styling tips and tricks so you can recreate the look of previous eras at home. Treat mum to the rose displays at The Queensland Rose Society's Rose Show at the Brisbane Botanic Gardens Mt Coot-tha Auditorium. There will be a rose flower competition, guest speakers and rose plant and product stalls as well as plenty of advice on choosing and growing roses in Queensland. Treat Mum while at the Queensland Rose Society's Rose Show and buy her a beautiful potted rose. The Rose Show will be located in the Brisbane Botanic Gardens Mt Coot-tha Auditorium Sunday May 14 from 9.00am - 3.30pm. While at the gardens this Mother's Day enjoy the musicians of Windsor Brass, Rivercity Steel Band and Brisbane Brass for an afternoon of easy listening favourites chosen especially for mothers. Delicious food will be available from the Downey Park Food trucks. This is a free event from 12.00 - 3.00pm. If your Mum enjoys art and music why not take her to the Queensland Art Gallery to see the current exhibition O'Keeffe, Preston, Cossington Smith - Making Modernism. This exhibition showcases three female artists who are considered pioneers of the modern art movement. You can read more about this exhibition in my blog post here. I hope my suggestions have given you some ideas to celebrate Mother's Day 2017. However you chose to celebrate, whether it be big or small, just remember to make your mum feel special.